Gary Stone is truly a prime example of a softball pioneer, as he has played the sport for 45 seasons and 25 years with the USSSA organization. Twenty-one of those seasons were with the outstanding program of the Bank of Westmont. 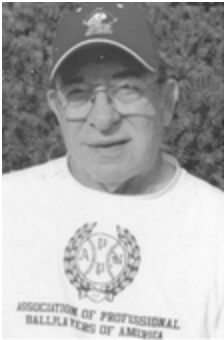 Little did Gary know, that when a good friend, Jim Duffy, led him to the game of softball, he would one day be a member of the Illinois USSSA Softball Hall of Fame. Gary's diamond history was born at Lyon's Township High School where his team finished 2nd in the 1962 IHSA State Baseball Tournament, quickly followed by him signing on with the Chicago White Sox organization following graduation. The next year he was drafted by the St. Louis Cardinals and played 9 years in the Minor Leagues. He perhaps is one of only a few that are both members of the Professional Baseball Hall of Fame and a softball hall of fame, as Gary was part of a record setting 29 inning (6 hour and 59 minutes) marathon one summer night in St. Petersburg, Florida. Following his baseball career, Gary helped lead the Bank of Westmont to 4 State Championship, and since 1998 through 2014 has participated in four world tournaments with the Chicago Classics Senior Softball Organization. With a lifetime batting average near .600, his major position has been pitcher over the years. Speaking of his experiences with the Bank of Westmont, Gary says, "What a great bunch of guys and a wonderful sponsor. Everyone knew how to play the game and win. They also played with total respect for all the teams they played against." He also recognized Brian Shultz, Jeff Davey, Jim Cushing, Don Loid, Tom Spahn, Mike Oats and Duffy as some of the best players he ever played with, while recognizing Ron Havelka as his best coach. "I want to be remembered as a guy that respected his teammates and was never afraid to sit and let someone else play. I knew how to help the team win!" Gary said. Gary knows that with success there are always some regrets, as he wishes he could have spent more time with family and friends rather than playing ball almost every weekend. He, however, recognizes he had their total support throughout his career. The 1988 All-World selection recalled his funniest softball experience: after he hit a home run and sat down on the bench to hear the umpire call him out for missing home plate. One thing he is not going to miss is his induction into the Illinois Hall of Fame. "I can't wait to get that ring!"